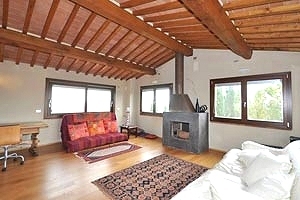 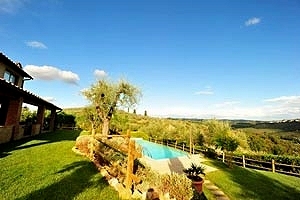 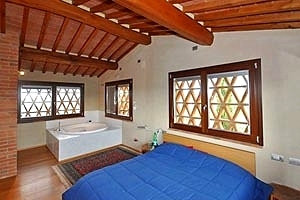 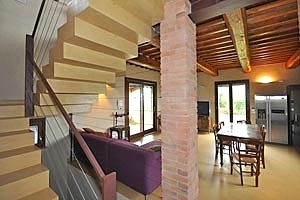 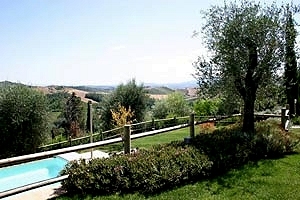 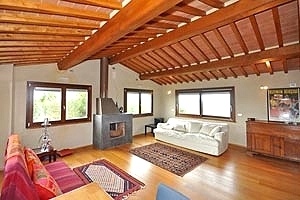 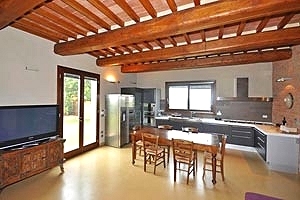 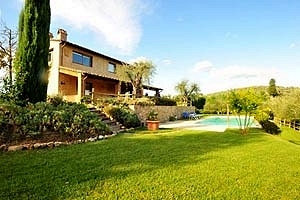 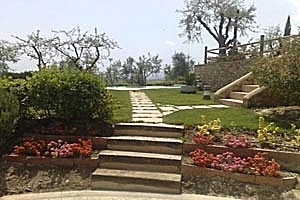 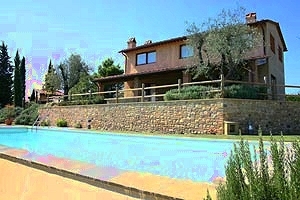 The villa is located on the hills of central Tuscany, in the Chianti area. 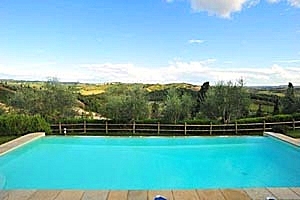 The Chianti region, mainly renowned for being the production area of the homonymous wine, stretches in the provinces of Florence and Siena. 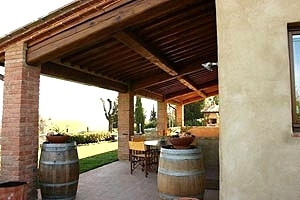 Its gentle hills covered with vineyards are the ideal destination for those who want to get to know the secrets of the winemaking process. 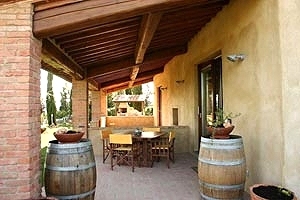 Indeed many wineries open their doors to visitors and organise guided tours and wine tasting events. 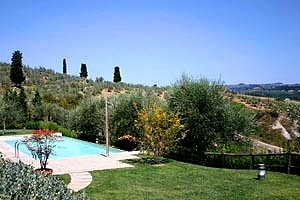 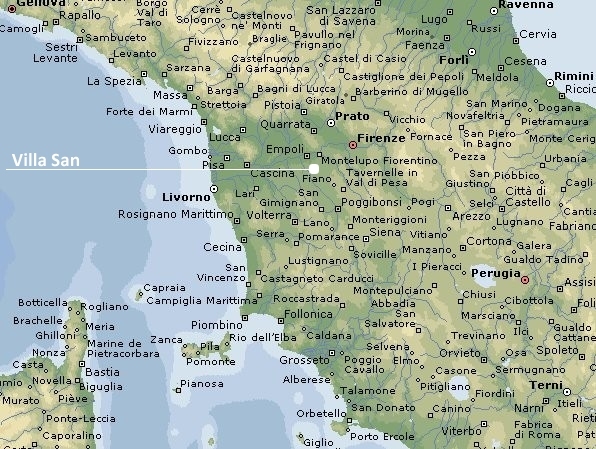 Florentine Chianti is also rich in medieval hamlets and villages (e.g. 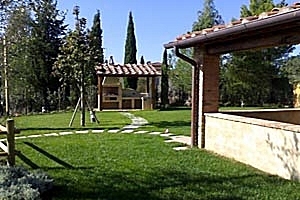 San Donato in Poggio, Panzano and Montespertoli), churches and castles (such as those of Gabbiano and Bibbione). 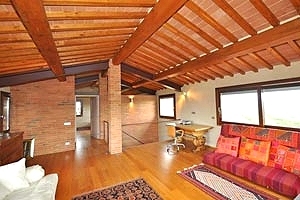 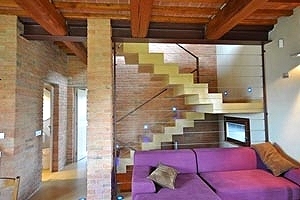 In origin, the villa situated in panoramic location between Certaldo and Montespertoli was a barn. 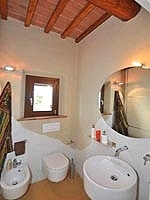 The building has been carefully renovated and transformed into a welcoming and cosily furnished country house. 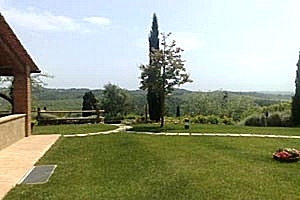 The garden and windows afford a wonderful view of the surrounding hills up to the towers of San Gimignano. 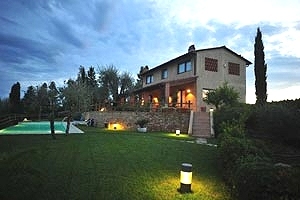 Thanks to its strategic position in the heart of the Tuscan countryside, the villa is an excellent departure point for visiting Florence, San Gimignano, Siena, Pisa, Volterra, the Chianti region, Lucca and many other Tuscan cities of art, all of which are within short driving distance. 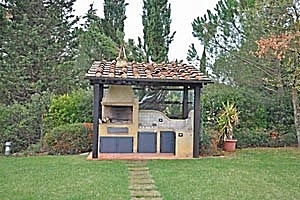 In the wide garden that surrounds the building are an external kitchen with the barbecue equipment and an electric stove, and the private swimming pool (12x4 m; depth: 1.20-1.80 m) with an outdoor shower. 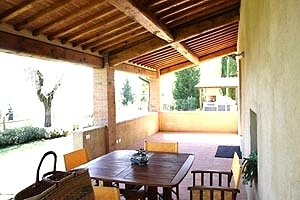 Guests can dine al fresco in the covered terrace in front of the indoor dining area and the kitchen. 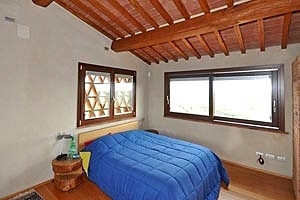 The three-storey building can accommodate 8 guests in 3 double bedrooms and 1 double sofa bed and has 3 bathrooms and 1 half bathroom. 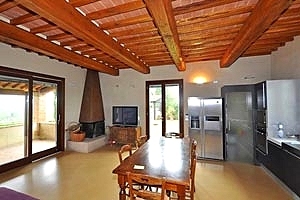 The ground floor composes of dining area with kitchen corner, living room with fireplace, a double bedroom with a direct access to the garden and a private bathroom with shower, and a half bathroom. 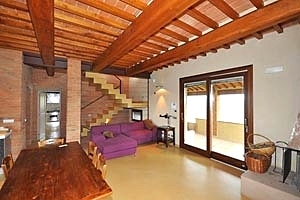 On the first floor are a living room with a double sofa bed and fireplace, and a double bedroom with whirlpool bathtub and a private bathroom with shower. 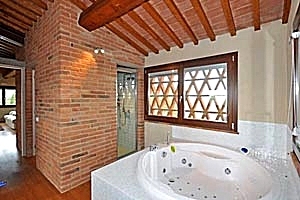 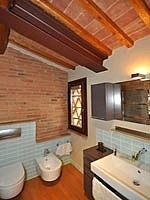 The basement floor composes of a double bedroom and a bathroom with shower. 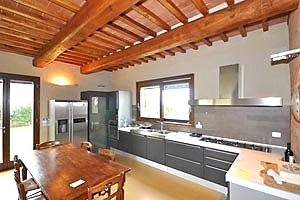 The villa comes with swimming pool, outdoor shower, barbecue, external kitchen, fireplace, Internet connection, satellite TV, microwave oven, oven, freezer, dishwasher, washing machine, whirlpool bathtub, cot bed and private car parking place. 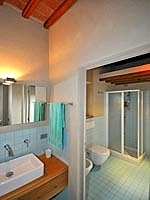 A domestic help is provided upon request.